The Cold War–era spy thriller Tinker Tailor Soldier Spy tells the story of a British intelligence officer who is pulled out of (forced) retirement when it’s thought that a Russian mole is embedded within the Secret Service. Who is the mole? It’s one of four gentlemen who are given the code names of the film’s title. Despite an excellent performance by Gary Oldman (and his oversized glasses), I just wasn’t invested in this one. It’s stuffy, all-too-serious, and not exactly exciting to watch. No wonder my mind wandered throughout, and I couldn’t wait for the film to end. Is it fair, then, for me to give the movie any review? I don’t care; I’m doing it anyway. 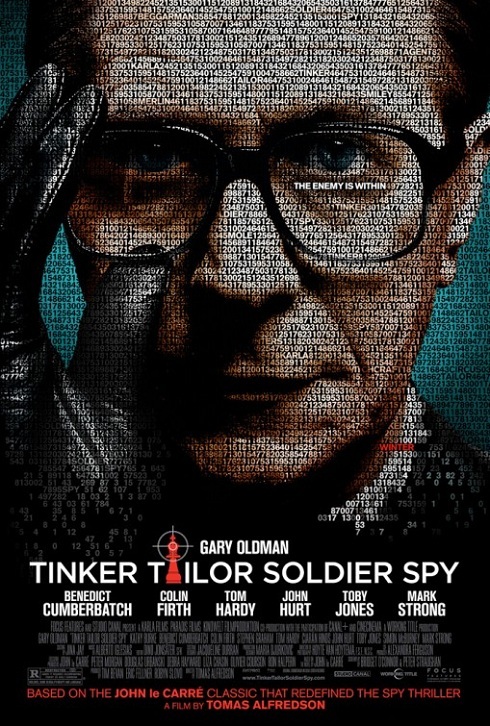 Tinker Tailor Soldier Spy gets a B– from me.